White River Junction is an unincorporated area of Vermont that is located in the town of Hartford. White River Junction is considered to be a census-designated place (CDP) and it is located directly in Windsor County, Vermont. The CDP is home to White River Junction Historic District, which has been on the National Register of Historic Places since 1980, and the Junction has a long history as a transportation hub as White River Junction was once the most important railroad community in the entire state of Vermont. As of the most recent census, White River Junction was home to more than 2,200 people. A total of 15.3 percent of the population was 65-and-over as of this most recent census. Seniors living within White River Junction have many services that they can take advantage of to enhance their quality of life and to stay connected to their individual communities. It is important for seniors to be able to remain socially and physically active to protect their health and help them to remain independent for longer. 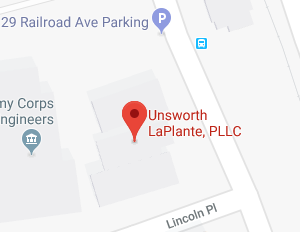 For seniors who want to learn about benefits and programs available to them, Unsworth LaPlante, PLLC is here to help. Our White River Junction elder law attorneys offer comprehensive support to seniors throughout this Vermont area who want to plan ahead for their future. We help clients of all ages and offer a full array of services including incapacity planning, legacy planning, and more. You can reach out to our legal team to find out about the different kinds of services that we make available to seniors and you can also take advantages of some of the resources assembled here by our legal team. Staying active, engaged, and connected to the community can help seniors in White River Junction to stay healthy and happy and to remain independent for longer. Seniors in White River Junction can take advantage of programs, supports, and the opportunity to make social connections by visiting the Bugbee Senior Center. The Bugbee Center has teamed up with the White River Council on Aging to offer many different services to senior residents of this Vermont area. The services include meal programs, which people can attend if they are 60 or over. There are also home-delivery meal services offered through the Bugbee Center for eligible housebound seniors. In addition to meal services, the Bugbee Center also offers transportation, including in wheelchair equipped vans; social services; assistance with durable medical equipment; and more. One of the most important services provided by White River Junction elder law attorneys is assistance with making a plan in case you need nursing home care. If you require nursing home care, you’ll need to do research carefully to find out about what type of care facility is right for you and to ensure that the care facility does not have a history of regulatory violations or abuse allegations. You can learn about nursing homes in White River Junction by visiting Caring.com’s website on local nursing care facilities. Paying for nursing home care is also an issue. Medicare and most private insurance policies won’t cover the costs of a nursing home, but you can get your care paid for by Medicaid if you are eligible for the means-tested program. You can learn more about Medicaid coverage and eligibility requirements from the Department of Vermont Health Access. Unsworth LaPlante, PLLC can also help you to make a Medicaid plan so you can get qualified for Medicaid without having to impoverish yourself if you need nursing home care or long-term care at home. One of the key issues that it becomes important to address as you get older is the risk that you will become incapacitated. If you become incapacitated and unable to express your preferences on medical care, decisions may need to be made on your behalf in an emergency situation. Putting advanced directives in place gives you control over many of the types of care that may be necessary in an emergency. You can also create a power of attorney in order to name someone to act for you in case of incapacity. An Advanced Directive Short Form which was prepared by the Vermont ethics network. This short form gives you the framework to create your advanced directive and express preferences on care. Information on advanced directives from the Vermont Department of Health. You can learn more about how advanced directives work and about why you may wish to create this important document. The Vermont Advance Directive Registry electronic database where you can register your advanced directives so doctors and caregivers will know what your preferences are regarding your care. 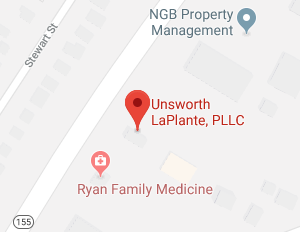 Unsworth LaPlante, PLLC can provide you with assistance in making your advanced directive, as well as with the process of creating a power of attorney to name someone to act for you when you are no longer able to act on your own. A White River Junction elder law attorney at Unsworth LaPlante, PLLC can help you when free services and supports are not sufficient to protect yourself and your loved ones. We can work with you to identify benefits and programs that you could be eligible for, to help you become eligible for key programs, and to protect yourself, your assets, and your loved ones. To find out about the full array of elder law services that our legal team can offer to you, join us for a free seminar. You can also give us a call at (802) 879-7133 or contact us online to speak with a White River Junction elder law attorney about all of the key ways that we can support you as you age. Just give us a call now to get your plans underway.